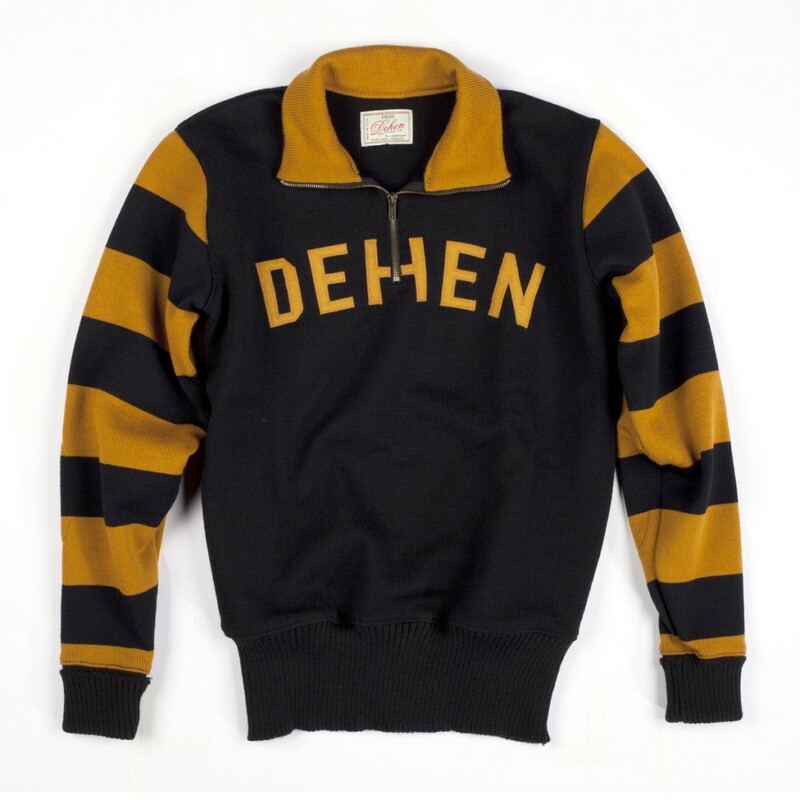 William P. Dehen started to make sweaters for the American sports man in 1920. The twenties were boom times for motorcycling. In those days the riders would wear woolen sweaters. 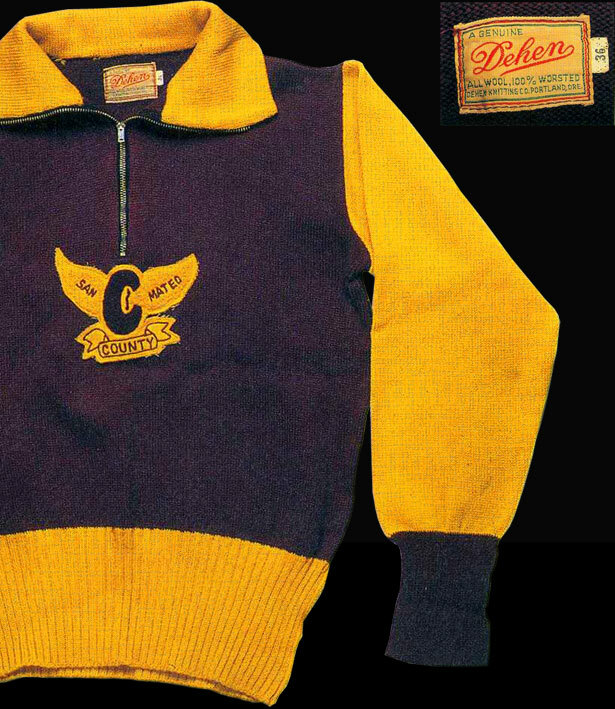 The leather jacket was not common till the end of the 1930ies. 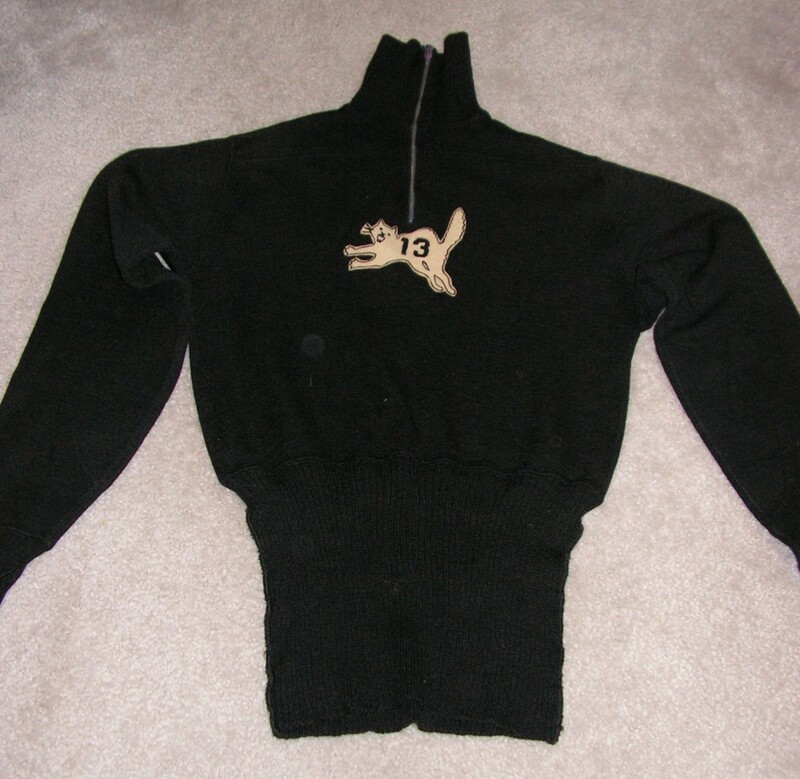 The fit and shape of the motorcycle sweaters or racing sweaters was slimmer and closer fitting. The American Motorcycle association (A.M.A.) sanctioned competition racing, hill climbs and recreational events. 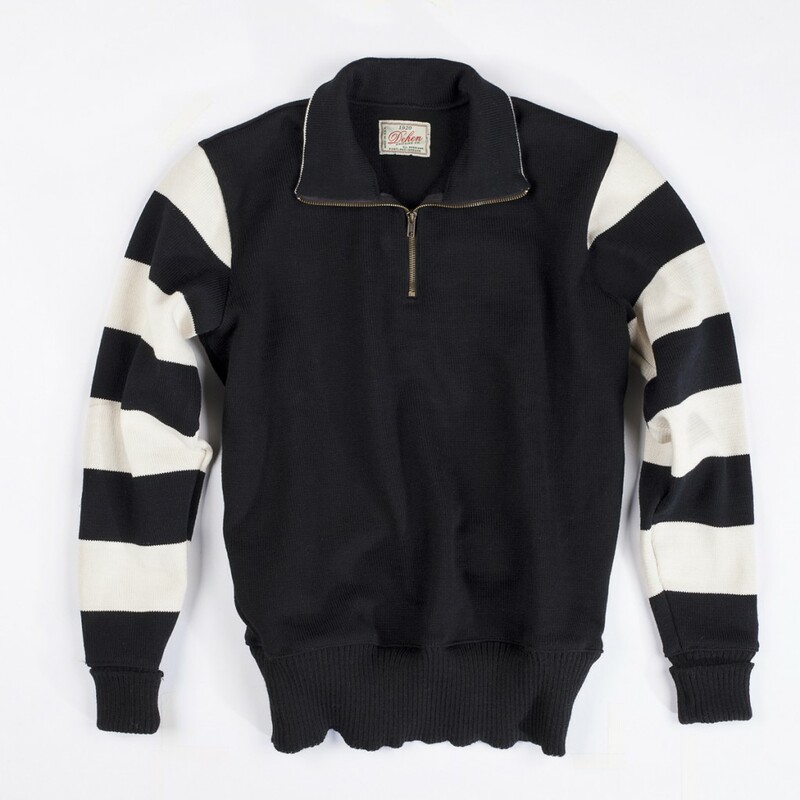 Many motorcyle clubs joined and wore their own distinctive riding apparel, usually a colorful wool turtleneck that could be opened with a zipper, with a name or town embroidered or decorated by felt letters. Race drivers were sponsored by either the manufacturer or the local dealers for reasons of promotion and easy recognition on the track. After WW II many servicemen that returned from overseas formed motorcycle clubs with names like the “13Rebels MC”, “Ramblers” or “Bombers”. 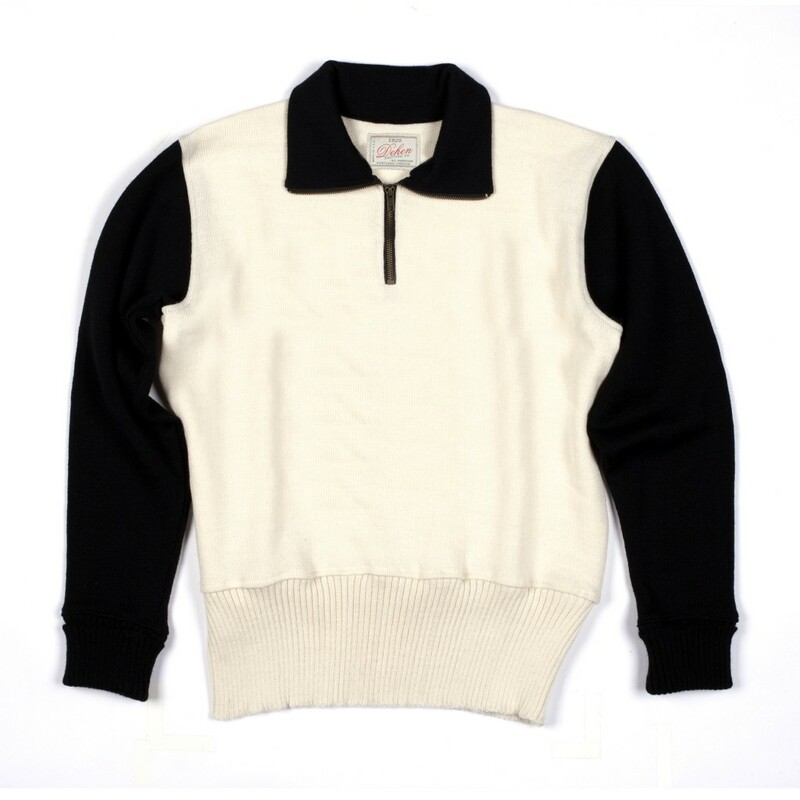 They also wore club sweaters. 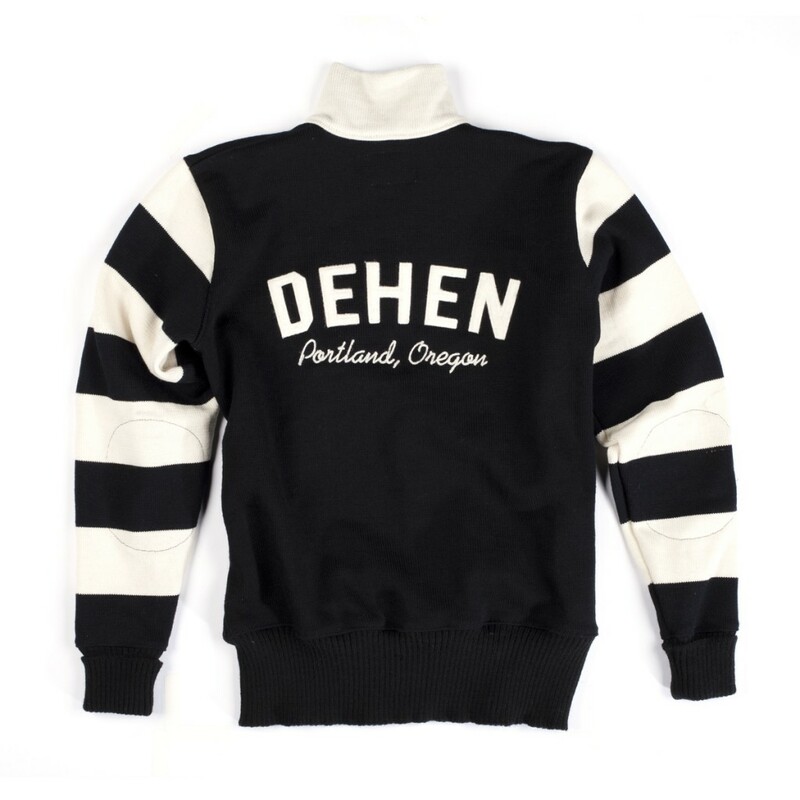 The Dehen Knitting Co. Portland has been supplying these sweaters to companies, clubs an individuals alike since the 1920ies and continues to offer them in their Dehen1920 collection. 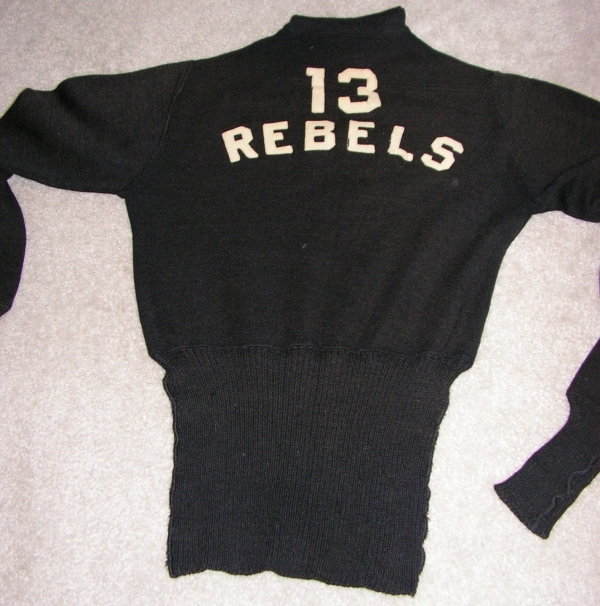 members of the 13 Rebels MC. 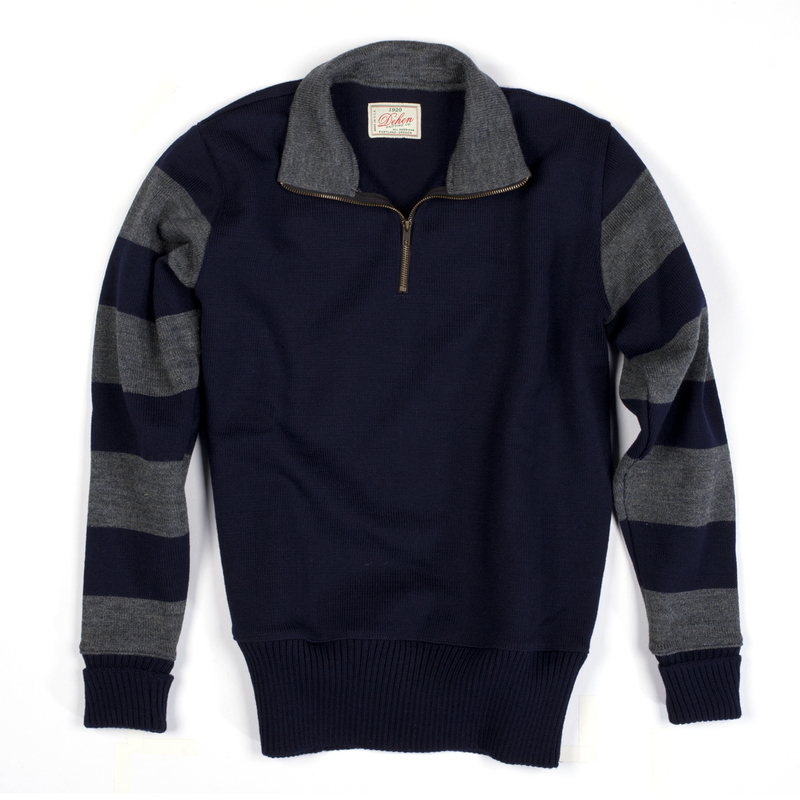 the 13Rebels MC, photo courtesy The Selvedge yard. made by Dehen for the San Mateo MC, 1950ies, courtesy Rin Tanaka. 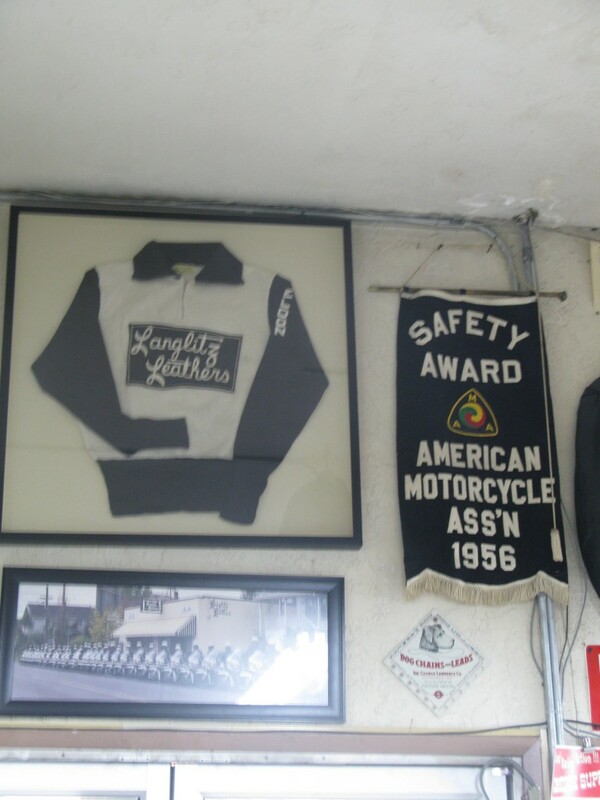 Ross Langlitz’ original Motorcycle sweater, made by Dehen. 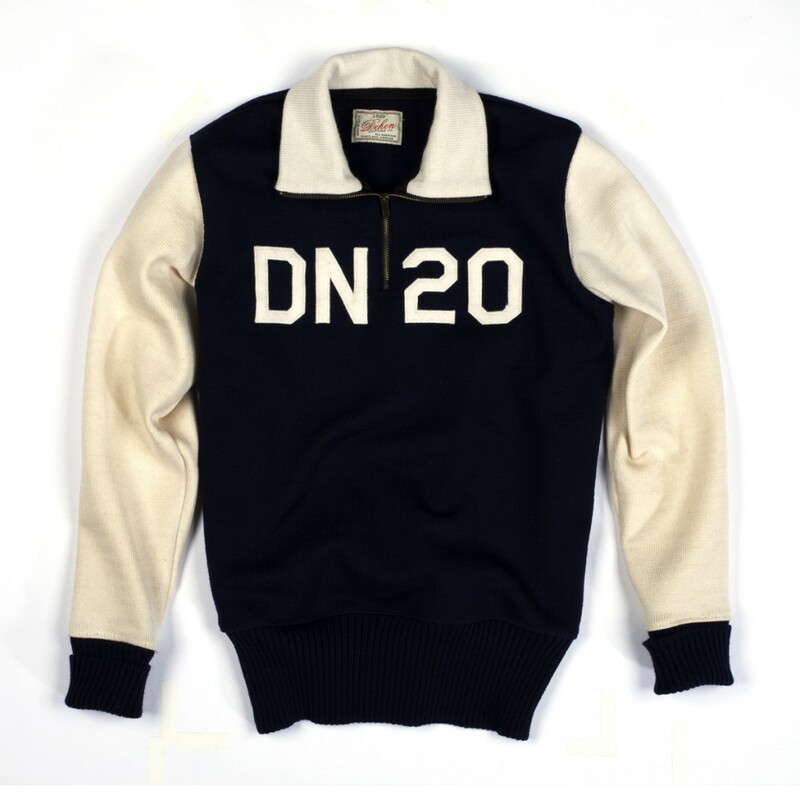 all styles from the Dehen1920 collection, in stores now. This entry was posted in Uncategorized and tagged 13Rebels MC, Dehen1920, Harley Davidson, Indian, Motorcycle sweater, Portland, Quarter zip, Racing sweater, The Dehen Knitting Co., William P. Dehen by AMTRAQ. Bookmark the permalink.